The roaring 20’s. 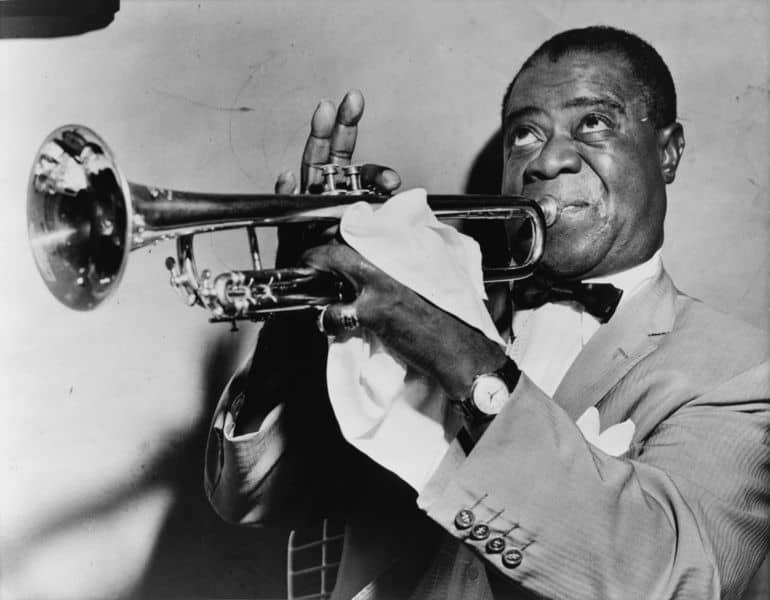 A time of Jazz music, flappers and Art Deco. A time when there began to be a breaking away from tradition in favor of modernity. The automobile, moving picture shows, and radio began to take prominent places in society and people began to favor practicality over frills and fuss. Prohibition was in full swing giving rise to the speakeasies of that era. Yes, the roaring 20’s was a time of change and progression, and also a time of great furniture! I can just see the elegant bar stool being used in a 1920’s speakeasy. This very unique stool would work well as a decorative piece as well as a useable piece in any home, it would be beautiful and easily reupholstered or as is. Tons of character and naturally distressed from years of loving usage. Your first question might be, what is a Etagere. An étagère is a light piece of furniture which was widely manufactured in France around the end of the 18th century. They generally have several levels, or shelves for displaying knickknacks or any other type of decorative item. It is similar to a what-not in that many times they are made to go in corners. This beautiful example of an etagere is crafted in solid mahogany with flaming crotched mahogany on the 2 cabinet doors. The 4 shelves have a lovely lattice work gallery on the front as they graduate in depth above the 2 cabinet doors opening for storage with a shelf, over a conforming base with carved apron. Needing a table for a radio may seem like a foreign concept to us, but remember that back in the 20’s, radios were large and bulky and they were actually called “Table-Top Radios”. There were tables sold on which to put a radio back then just like tables are sold today on which to put a TV. These 1920’s radios ran between $50 and $75. That was a lot of dough back then! Here is a great Radio Table from the 1920s. It has an uniquely octagonal shape. 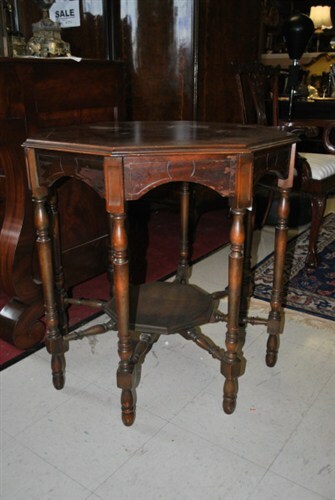 Burled walnut top with repeating incised octagonal shape, molded edge, carved apron, and sturdy turned legs. The turned stretchers are connected to a smaller octagonal shelf. This antique side board is made of solid English oak wood, made in the 1920’s and in very nice condition for it’s age. 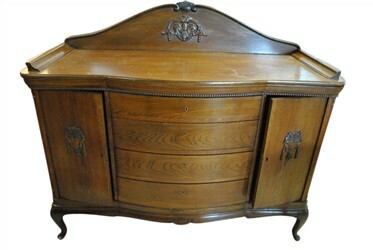 It has a bow front design with a carved apron and beading and carved oak applique accents. There are 4 large center bowed drawers and two nice size cabinets on both sides with shelves. 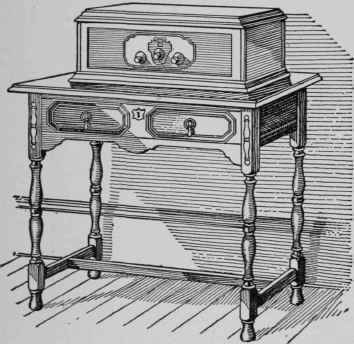 It sits on Queen Anne legs and the drawers have solid brass findings. Wouldn’t this look stunning on that radio table we mentioned above!? 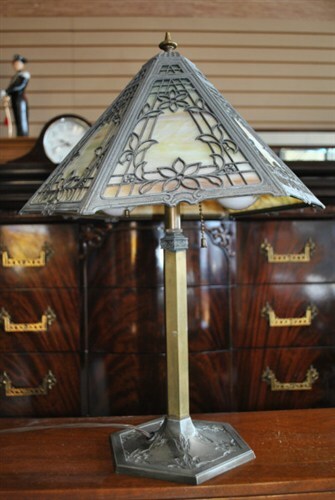 Introducing a beautiful antique stained slag glass lamp by E M & Co. with stained glass shade. Marked 1114 on the bottom. The base is 6.5″W x 20″H. The shade is 3.5″D x 7.5″H. Hexagonal cast metal frame with floral design and stained glass panels in beige, pink, green and brown tones. A brass finial holds the shade in place on a brass center with cast metal base. The floral designs on the frame are echoed in the base. In excellent condition with very minor wear.